Jarvis Landry will thrive across from Odell Beckham. The Browns are frustrated by David Njoku’s poor blocking ability. Should Nick Chubb be worried about Kareem Hunt come November? The Donte Moncrief signing hurt James Washington more than Ryan Switzer. The Steelers signing Donte Moncrief as a free agent isn’t a resounding vote of confidence in second-year player James Washington. Moncrief profiles as a player who would play a similar role and cannibalize Washington’s passing game opportunities. Some fantasy football analysts will tell you that Bruce Arians has never used a tight end in his offense, but Arians has never had a tight end who commands targets like O.J. Howard before. Tyrell Williams will help Antonio Brown maximize his potential on the Raiders. Devin Funchess signing can thrive as a pumped up slot receiver. Tevin Coleman signing with San Francisco created the most athletic muddled backfield in the NFL. 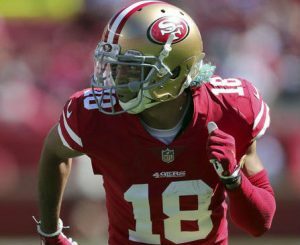 Golden Tate going to the Giants doesn’t make any sense. Odell Beckham represents the missing piece in Cleveland. Evan Engram benefits most from the Odell Beckham trade. Why Antonio Brown will continue to dominate in Oakland. What is stopping JuJu Smith-Schuster from achieving WR1 status in fantasy football? The single most overrated day in the NFL Offseason, by NFL General Managers and Dynasty leaguers alike is the NFL Scouting Combine. Inevitably, nearly everyone over-reacts to the standout performances, especially when they are not accompanied by strong college production. 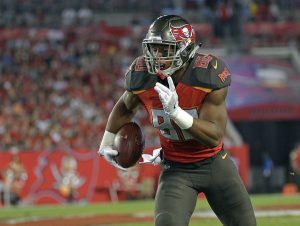 We know that athleticism is important for running backs, but does it matter as much for wide receivers? 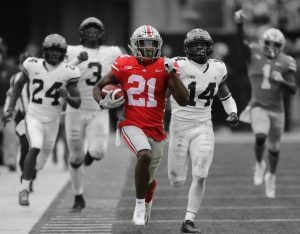 Parris Campbell recorded 14.6 yards per reception in his junior season, and just 11.8 in his final year at Ohio State, indicating that he is unlikely to be a deep ball threat at the next level, despite a 4.31-second (100th-percentile) 40-yard dash. Campbell, unfortunately, looks like he may best be used as a gadget player (a la Tavon Austin or former teammate Curtis Samuel). There are many teams, after the first and possibly second wave of NFL free agency, that on paper are much better than they were at the end of last season. But there are a host of players who should feel like they have “won” free agency thanks to a lack of activity by their team. Washington coach Jay Gruden has already talked up Trey Quinn and believes that he could be a candidate to replace Jamison Crowder as the team’s primary slot receiver. Quinn will have to show that he can stay healthy for a long period of time, but he is now a defacto starter. 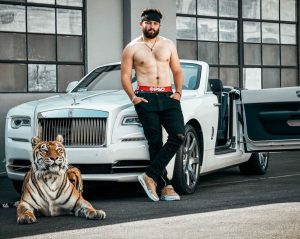 The Cleveland Browns won this off-season in a way we have never seen before, they are all-in and so are dynasty owners. Now is not the time to chase Baker Mayfield and Odell Beckham, instead try to find value in the under-the-radar winners of NFL free agency. Jamison Crowder is the perfect slot receiver to solve Sam Darnold’s glaring lack of a check-down option, if he can return to his healthy 2017 level where he averaged 2.07 (No. 7) yards of Target Separation despite seeing an average Target Distance of 6.9 (No. 67). Damien Harris outplayed Josh Jacobs all along, and that matters. Darrell Henderson was the most efficiency running back in college football history, and that matters. How did so many film grinders miss Alex Barnes? Is David Montgomery overrated? This year’s quarterback class doesn’t have the surefire prospects that 2018 did with Mayfield and Darnold. But guys like Murray have tantalizing upside and there’s plenty of interesting depth even as you move down the draft board. There’s no doubt that on the whole, this NFL Draft running back class is a disappointment to say the least. 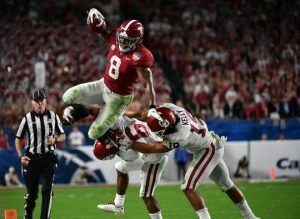 While running backs should be targeted early in dynasty league rookie drafts, 2019 is the exception to the rule. After failing to be the leading rusher on his own team each of the three seasons he played, Josh Jacobs exemplifies weakness with this RB draft class. Elijah Holyfield is a prospect many film evaluators were excited about due to his propensity to break tackles. But there was little doubt as to why he was trucking defenders instead of outrunning them after he rumbled his way to just a 4.78 40-Yard Dash.